Reliance Jio Sim Card activation Procedure or How to Activate jio Sim Online in Both Volte & LTE Devices or For Dongle. Reliance Launched Jio Sim for getting 4g Speed for their Users. So here we Post All About Reliance Jio Such as How to get their sim , How to activate their 4g Offer of Unlimited calling and internet. We share Answers of some this common questions What is volte or Lte ? Jio supported mobiles ?. Check Reliance Jio 4g sim Tariff Plans. Jio is the largest High Speed 4G Network in India. 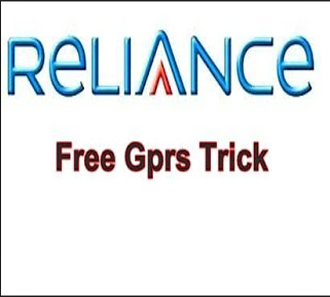 For Promotion and test their Service Reliance offer Free Unlimited calling and Internet Till 31st March 2016. Also you get benefit of some premium Apps for free. You can Send Unlimited free sms For Till 31st March 2016. In this offer You get Download speed upto 50mbps and Uploading Speed is upto 35mbps. Anyone can get this sim absolutely free of cost. Here we also share how to activate this sim and all about reliance jio sim. 3 What is Volte & Whats is Lte ? Now reliance 4G jio sim available for any mobile phone. You just visit your nearest reliance store with 4G enabled mobile phone and Your Id proof Documents. No need to take any screenshot and bar code to purchase this 4G sim. If you don’t have 4G phone but still you wants to get this sim then you need to convince then shop owner. Reliance Jio Is launched on 5 September 2016 and Any normal Users Can get this Sim and get Free benefits Till 31st March 2016. or want to know more Benefits about After Jio Launch. After getting Sim Next question is come How to activate Jio sim card ? Follow Below Reliance Jio Sim Card Activation Process. Many Users get this sim by above method but this sim is not activated. It means You will get Signal in your Jio sim till You fully activated this sim By below steps. For activate this sim you need 4g Supports Mobile. Put sim in 4g mobile for 1 or 2 days. You will get confirmation message on your Alternate Number. Then call on this toll free number to activate – 1977. They will ask your name and 4 digit Identity number. After Giving Correct details your sim is activated. Now you can Use Unlimited calls and Internet in this sim. If you Don’t have Supported mobile then You can try any Volte Support Phone to activate your sim by above Method For ex : Redmi Prime 2. You can even try in any other 4g supported mobiles too. After jio Launches users Who uses other networks and If they are think to use Jio Without changing Mobile Number then they can port their sim in Jio Network also they Get Welcome offer more about how to port Mobile number in Jio Sim. What is Volte & Whats is Lte ? Volte and Lte , both are Process of 4G. Lte is Stand only For Internet access. After enabling Lte , You can get benefit of Full 4g speed. Volte is process for enabling Calls and sms in 4G Network. This option is Builtin enable in Many mobiles And In some Mobile you Turn On Manually to get benefit of Calls and Sms Service. You get Downloading Speed Upto 4 Mbps which is say that 48mbps. Speed is mainly depend on Load and Your area. Check Our latest article where we Share 4+ tricks to Use 4g sim In 3g Mobile phones. Many users get this problem, When they uses 2 GB then they get data exhaust error. If you get this error then Follow below steps to convert in unlimited. Connect your data by Jio 4G Network. Open app and Install all apps. Now Make New Account [ Click Here ]. After install All Apps , Turn Off Your Data and Clear all Background Process of this apps. Clear Data of My Jio App. Again Turn on Data and Open My Jio App. Now again turn off data and Sign in by Your number and pass. Before click on Sign in , You again Turn On Your data. In Some time You get pop Up to activate preview offer, If you not get Pop Up then Follow all Steps again. This offer is called Reliance Preview offer. After activating this offer you can get benefit of unlimited 4g in Jio sim. After Activating sim you get only 2 gb Data. Follow below Steps in Any volte support mobile to get this Offer Such as Redmi Prime 2. First of all , Insert Jio Sim in Slot 1 and Remove second sim from mobile. Click on Sign up and make new account with your mobile number. Login , Install 4 apps for activation But we recommend To download all apps. After download Login in all app , Then Open Jio wallet app from this apps. Make account with same details. Now wait for 5 minutes to sync all apps. Now My jio app and click on Call to its care Its too busy (You don’t need to talk with them). Disconnect call and After 5 Minutes Login Again in In myjio App. You will get popup For downloading 4 apps Click on Submit Button. You get unlimited Free calls and Data is activated on your number. If this steps not works for you then place your Jio sim in Any Below listed smartphone and follow above steps to activate Jio sim to get preview offer. This Mobiles does not have Volte so You cannot make calls via this mobiles. 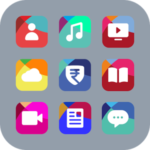 But you can make by the help of Jio-Join app ( You can make Hd Voice & Video Calls). 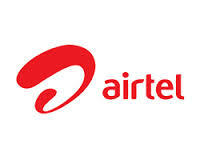 You can get here complete list Lte Supported mobiles. How to use Jio sim in 3g Mobile. Jio4gvoice app to make Unlimited hd calls. How to generate unlimited Jio bar codes to Purchase unlimited Jio sims. How to use jio sim on Windows mobile and 4g Modem , Netsetter. Jio Sim No Network Problem Solutions. Discussion on "Reliance Jio Sim Card Activation Procedure For Both Volte & LTE Devices"
Hey bro my jio sim activated and net is running but speed is very slow like a 2g network. I have samsung s6 edge.plz solve it. After using 2 GB data I am unable to access the internet in my LYF phone. Due to that I am unable to use my jio app. We posted Above how to Convert in Unlimited if Your data pack is over then call customer care or You can Follow above steps by Doing Small Recharge. Ye sim kha pr milega hmar mtlb h ki…isko relaince k store pr mil jayega ya iska alag hi relaince jio store h bro. I Follow All Step But I Haven’t Genreteted Code. I First Download Myjio App, In My Jio App I Download All 11 App But Never Seen Get Jio Sim Icon. I Have A Gionee M4 Marathon Phone. Plz Given Solution To How I Get Jio Sim.? Sir U Say To Me This”Check our this post to get Free reliance Jio 4G sim”. But Can’t Genreteted Code Again. Plz Help Us..
Sir I Am Follow All Step But Can’t Genreteted Code Again. Plz Help.! I have got 2 jio Sims with one document can I use it?.. I have a 4g smart phone….My smart phone name is “Intex Aqua Star 4g”, but this phone not supporting Jio 4g sim. So my question is why my 4g handsets not supported Jio 4g sim. please answer me…..
Are you sure that Jio 4g support any 4g phone……??? Thank You For Choosing Jio. We Have Received Your Application For New Connection. Your Order Number Is NO0000050U0O. Jio sim used phone other sim not supported ye kya sach hai…..? I bought a jio sim from my barcode 7 days ago it is not activated sir it is only showing emergency calls only .. how to activate sir.. now I am worried please help me sir. message of tele verification is already come but if i call it shows not register on network. Try in night or call customer service, Make sure you get good range. Go to acer care and tell them your problem may be your device not working properly. Use in Night you get more speed , Currently All users get Slow speed. No problem From Setting, may be your New sim sTill not activated. what problem you got ? My Jio sim is activated but I can not used internet data and call servise still so what can i do? of coUrse You can use in Any 4g handset. Maine barcode generate Kr liya h par main jab jio store gaya to wo bol rhe h ki Sim kattam ho chuka h.To ab main Sim kaise lu? Admin , I downloaded Jio4G voice call app on my Panasonic eluga switch after successfully registring my Jio number I am still unable to make calls and network is not also coming it says “please check ur internet connectivity or change ur wi fi use jio 4 g voice” can u plz help ? SIR MERA BAR CODR KISI NE CHURA LIYA HA ISKA KOI SOLUTIONS HA KIYA YA FIR MUJHE SIM HI NHI MILEGA KIYA . Check this for Generate new bar code. I want remove jio sim in slot 1 but other sim is not working in slot 1 why ? You will have to Change settings >> Change network mode to GSM/wcdma. 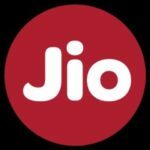 Hi a query here.. Can we activate multiple jio sim in one phone? Jio locks your phone. This is true. Now I am unable to use my phone after I remove jio sim card from phone. Also unable to switch primary sim , tried enabling 2g/3g in network setting and tried switching but nothing worked. It’s a trap created by jio. Check jio No network problem Post this may help you. If your phone support 4g then u will have to download 1 apps that is jio4Gvoice to make calls and sms,because your handset does not have or support VoLTE,for that u will need jio4g voice. I have mi 2 .my jio data is working but call is not connecting .it’s showing can’t activate sim card. Sir . Maine ek jio sim liya hay . lekin mera internet speed 4g nehi 2g ki trha chal raha hay. Pls sir koi to solution dijiye . aur mera phone bhi volte wala hay. Pls reply me sir. Read this posts carefully Jio no network problem and Increase jio speed. Mera phone Intex Aqua 4G Plus+ hai without internet mera incoming call or outgoing work nahin karta hai Jio4GVoice Online hone se calls hota hai…… What can I do sir please help me out from this problem…. The problem is that your hanset does not have or support VoLTE,thats why u will have to enable data network to make calls and receive calls the only u will be able to make calls and receive,. many peoples are getting problem in Jio this all problem will solve after trial. Mera handset j5 hai main pehle isme jio se call eaise hi kar pata tha aur phone par volte bhi likhker aata tha par phone update hone ke baad volte bhi likhker nhi aa rha aur call bhi 4g voice calling app se hi ho rahi hai sirf. Ye prblm kyo hai. Go to Samsung care , and tell them about This problem. Sir i am using panasonic eluga l2 ,i am not able to make call so i download jio4gvoice it shows me this service is not available in your region .plzz help me with that…..
You have to generate new bar code and then go to Reliance store. How can i use jio sim on htc 526g plus mobile(3G) ? Plz tell the step by step procedure ? SIR PLEASE HELP ME I CANT GET JIO NETWROK IN HTC 526 G plus ? Check Our New article of no network Problem. SIR PLEASE HELP ME… I have lenovo A7000. I use jio 4G voice application but my call will be automatically disconnected in 30 seconds..
Free calling service of jio free sim offer could not function in my smartphone Infocus bingo 50 . I already installed jio 4g voice online. i have uninstall jio app on my phone after reinstall it sends otp for my alternative number which i had given at the time of registration process but unfortunately that number was not in use..
You have to change Your Alternate number , Call on Jio Customer Care. hello sir I have lava grand 2 LTE phone but Jio sim is not working on it can u plz help ? plz send answer to my email also..
how I started Calling jio bit one issue create when I call 1977 direct ended call…. Your sim is not activated. I have done the recharge of 99 for jio prime membership but it shows…. But it shows u haven’t applied for jio prime membership yet… What is the problem…. Call to Customer Care or Reopen My jio app or Wait 24 hours.